Keen Psychics Review: Legit Readings or Scam? Keen Review – Authentic Psychics or Scam? ​Keen is a network of professional psychic advisors that are available 24/7 to offer answers and insight to life's biggest questions. They have over 1,700 psychics in their network, with a wide range of abilities and specialties. With Keen, you have the option of getting a psychic reading via phone, online chat, or directly through the Keen app. ​But is Keen a legitimate psychic network, or is it all just a scam? If you continue reading this Keen psychics review, we'll explain everything you need to know (including the pros and cons). 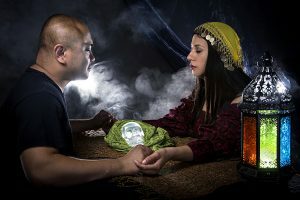 ​The Number of Psychics ​To Choose From Can Seem Overwhelming ​At First. 1 ​How Does Keen Work? 3 ​​​What Makes Keen Psychics Unique? 5.1 Is Keen.com a Legitimate Company? 5.2 Are All Psychics on Keen Real? 5.3 How Can I Reach Keen Customer Service? Users need only select the type of reading they seek, and then are shown extensive lists of psychic advisors who provide that specialty. The advisors are listed by their customer rankings, so you can seek how other customers have rated their experience and feel confident in their services. Once you select an advisor and register for their services, you will either be called or messaged via online chat – you’ll have pick a method of contact when selecting an advisor. The first three minutes of the reading are free, after which you will be asked if you want to continue with the reading and begin paying your advisor’s fee. Keen will never charge you without your express permission. You will always remain anonymous throughout the reading – not even your advisor will know your name, so there are absolutely no privacy concerns. You can feel free to ask whatever you wish, knowing that your conversation is completely safe and secure. Psychic readings cast a wide net and can illuminate an array of facets of your life depending on what is most prevalent in the current moment or near future. These readings can give you a path forward and help center your focus on a specific goal. Prophetic and telling, the readers on Keen are highly clairvoyant with the ability to dig deep and unearth meaning. Everyone will need help with their love life or relationships are one point or another. 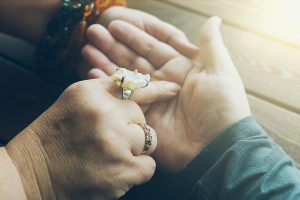 Since 1999, Keen has been connecting couples and singles with psychic advisors who can give accurate readings and advice when you need it most. The Keen advisors can help guide you towards the next steps in your relationship, mediate marital issues, and provide advice after a tough breakup. There even are some advisors who specialize in soulmates: they can tell you if you have met your one and only, or if your paths have not yet crossed. ​For centuries, humans have sought advice from seers and psychics for advice and the answers to life’s big questions. Keen has psychic advisors for the modern age, and can connect you online or over the phone to an advisor who can help you find clarity. Whether you’re struggling with philosophical questions, like “what is my purpose in life?” or practical issues that are causing you stress and anxiety, there is a Keen professional psychic advisor that can help you. Clients can choose an advisor who specializes in matters concerning career decisions, personal relationships, or life changes. Everyone loves a good tarot reading. 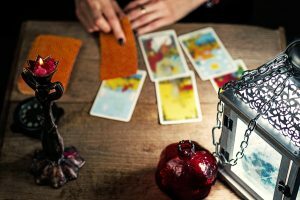 And while it is fun to read tarot with your friends and for yourself, there is nothing quite like being guided through a tarot reading by a skilled expert who understands the archetypes and truth of tarot to its core. The tarot readers on Keen truly impress with their ability to tap into relevant themes and pull genuine meaning out of the cards as they read. If you are feeling stagnant and disconnected from the world around you, a spiritual reading may be the perfect answer. These readings allow clients to pull back the curtain of the material and physical world around us and see into the spiritual and energetic life pulsing through our every action and thought. Keen’s spiritual advisers have a wealth of information to offer and are experts at guiding willing participants through this deep work of self-exploration. A medium has the ability to open a channel between this physical world and the spiritual world beyond our grasp. This unique skill is honed through dedicated practice, but many of the attributes necessary for this work must be innate. It’s impressive that Keen has accrued such a lofty group of talented psychic mediums who, in turn, have helped hundreds of clients communicate with those who have passed on into another realm. ​​​What Makes Keen Psychics Unique? ​Keen offers great deals and competitive pricing. The first 3 minutes of every reading are free, and after your 3 minutes are up, you will be asked if you wish to continue and accept the credit card charges. This gives you peace of mind that you won’t be stuck with an advisor who you don’t click with. ​Keen’s mobile app lets you connect with your favorite readers on the go—anywhere, anytime. You can use the Keen app to call or chat with your advisors 24/7. The app also offers daily horoscopes, articles, and more! ​If the psychic advisor you want to speak with is busy, Keen allows you to arrange a call with the reader of your choice and they will call YOU! This is one of Keen’s best features and is soon to be available on Chat as well. ​Keen wants to ensure that you enjoy and get the most out of every reading, which is why every reading is risk free with their excellent satisfaction guarantee policy! You don’t even have to call customer support- their satisfaction guarantee is now a simple online form. There are many factors at play when it comes to finding a good psychic advisor. Your personality, budget, and spiritual energy will all play a major role. Luckily Keen has over 1,700 psychic advisors to choose from and lets you filter them based on what’s important to you, so you’re certain to find the one that fits you best. Prices differ from psychic to psychic and are set based on their own personal experience. There are many risk-free ways to try out different readers and see which fits you best. In addition to the standard first 3 minutes free offered on all Keen readings, many psychics offer special deals such as receiving the first 10 minutes for only $1.99. This allows clients to get to know a psychic before deciding if the rates are worth the level of guidance. If you aren’t satisfied, Keen offers a refund credit of up to $25 for a session that didn’t go quite according to plan. This way, you don’t have to stress if a reader isn’t right for you. And you can instantly share your experience through ratings and reviews after your session to help others make good decisions about the professionals they turn to. Is Keen.com a Legitimate Company? Yes. The company have been in business for two decades and have performed more than 4 million readings. Since 1999, Keen has been working connect knowledge seekers with genuine psychics. Are All Psychics on Keen Real? Many people are skeptical when it comes to trusting psychics, but the advisors on Keen are thoroughly vetted and take pride in their community ratings. As with any business, there can be occasional readings that don't give you the answers you're looking for. This is where the Keen satisfaction guarantee comes in. If you are not satisfied with your experience or reading, simply contact customer service within 3 days to be eligible for reimbursement credit. How Can I Reach Keen Customer Service? If you are having issues with your account, you can reach the accounts support line by calling 1-877-533-6435. Make sure to have your account information and pin number ready. To invoke the satisfaction guarantee, sign into your Keen account and send a message to the Customer Support team with the subject listed as “Satisfaction Guarantee”. ​Keen is undoubtedly one of the best psychic networks in terms of talented psychics and low prices. Their user-friendly website and excellent customer support are an added bonus to this great service. Whether you’re looking for a love and relationships reading, career, tarot, or psychic medium—Keen has an advisor that is right for you.